J-Wire congratulates those members of the Australian Jewish community honored for their special endeavors over and above their regular line of duty…. Sub-Committees including Fundraising, Planning, Status, Building and Capital, and Investment. Founding Chairman, Planning Committee, 1996-2005; Member, ongoing since 1996. Chairman, Allocations Committee, 1996; Member, 1993-1996. Inaugural Chairman, Burger Aged Care Centre, ongoing since 2005; joint venture between Montefiore Home and JewishCare. Vice-President, Moriah War Memorial College, 1992-1993; Executive Member, 1987-1993; Member, Finance Sub-Committee, 1986-1993; Treasurer, 1988-1991. Member, Business Council of Australia, 1993-1995; Committee Member, micro-economic reform; Committee Member, review of a national grid on electricity pricing and capacity on the Eastern Seaboard. Director, McKinsey & Company, 1993-2005; Member, Shareholder’s Council, 2000-2003 (Board of Directors elected by the Directors globally); Principal, 1987-1993; Member, Principals Committee, 1996-2000 (elects new Directors or senior partners globally and evaluates and compensates Principals globally); Associate, 1980-1986. Chairman, Museum of Contemporary Art (MCA), since 2010; Chairman, MCA Foundation, 2007-2010; Vice-President 1991-1999; Board Member and Chair of Finance Committee, 1996-1999. Member, Commissioner’s Council, Australia Venice Biennale, since 2009. Deputy Commissioner, 2011 Australian Venice Biennale exhibition. Appointed Commissioner, 2013 Australian Venice Biennale exhibition. Supporter and acquisition patron, Art Gallery of New South Wales, since 2002. Director and supporter, Sydney Theatre Company, since 2008; current Member, Finance and Investment Committee. Board Member, Garvan Research Foundation, since 2010. Board Member, Bundanon Trust, 1997-2002. Director, Wharton Executive Board Asia, since 2011. Deputy President, Federal Government Takeovers Panel, 2000-2011. – Funds the ‘Creative Youth Initiative’ of Mission Australia, 2003-2009. – Supporter, Beyond Empathy, since 2005; arts program. – The Mordant Visual Art Award for the British Council, Australia, 2004-2005. – The Mordant Visual Art Scholarship at Cranbrook School, 2004-2009. – Museum of Contemporary Art. – Art Gallery of New South Wales. Joint Chief Executive, Greenhill Caliburn, since 1999. 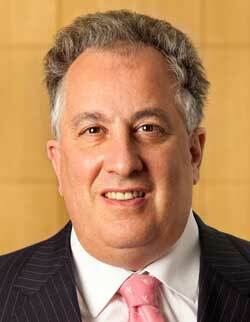 Simon Mordant told J-Wire that he was “very surprised and humbled”. Founder and Director, Australian R Wallenberg Centre for Clinical Neuropharmacology, St Vincent’s Hospital, 1997-2004; former Head, Neuropharmacology. Founder and Director, Australian Pregnancy Register, since 1999; involved in fundraising and sponsorship for the Register. Co-Author, Antiepileptic Drugs – Pharmacology and Therapeutics (with Emeritus Professor Mervyn John Eadie AO), 1999. Published over 350 papers, both nationally and internationally. Current Honorary Consultant Neurologist, Royal Melbourne Hospital. Consultant Neurologist, Austin Comprehensive Epilepsy Program, Department of Neurology and Department of Pharmacology, Austin Hospital, 1974-1989: Senior Clinical Pharmacologist, 1974-1986; Founding Member, Department of Neurology, 1978. Honorary Clinical Pharmacologist, Queen Victoria Medical Centre, 1980-1986. Member, International Registry of Antiepileptic Drugs and Pregnancy, International League against Epilepsy, since 1999. 1986-1990; a regular Speaker at Annual Scientific Meetings; a major contributor to the establishment of the Society. Voluntary Member, Committee of Management, National Epilepsy Association of Australia, since 1982. Clinical Evaluator, Therapeutic Goods Administration, 1988-2000. Member, Australian Association of Neurologists. Member, Australian Society of Clinical and Experimental Pharmacology and Toxicology. Involved in the establishment of the Australian Society for Study of Brain Impairment, in the late 1970s. Voluntary Contributing Editor, The Epilepsy Report, since 2003. Current Professorial Fellow, Department of Medicine, University of Melbourne; Researcher, for many years. Professor of Clinical Neuropharmacology, Monash University, 2005-2008. 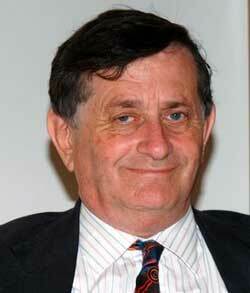 Director and Chairman, Free Wallenberg Australia Committee, for 29 years. Appointed Knight 1st Class (honorary), Royal Order of the Polar Star, Sweden, 2002. Member, Expert Group on Child and Adolescent Mental Health Outcomes, Commonwealth Department of Health and Ageing. Member, numerous state and national Committees, Royal Australian and New Zealand College of Psychiatrists. Member, Ethics Committee, American Academy of Child and Adolescent Psychiatry. Member, International Steering Committee, National Child and Youth Mental Health Framework, Canadian Health Commission. Ministry of Health, New Zealand, 2000-2002. Area Clinical Director of Child and Adolescent Mental Health Services, Northern Sydney Central Coast Area Health Service, since 2006. Director, Rivendell and Area Child, Adolescent and Family Mental Health Services, Sydney South West Area Health Service (Eastern Zone), 2001-2006. New South Wales Child and Mental Health Subcommittee, Mental Health Program Council, New South Wales Health. Staff Specialist Psychiatrist, Rivendell Hospital, 1996-2002; Inpatient Director, 1998-2000. Senior Staff Specialist, Eastern Zone, Sydney South West Area Health Service, 2003-2006. Chair, Child and Adolescent Psychiatry, University of Sydney, since 2005; Clinical Associate Professor, 2003-2005; Clinical Senior Lecturer, 2001-2003; Clinical Lecturer, 1996-2001. Adjunct Professor, Department of Psychiatry, Dalhousie University, Halifax, Canada, since 2009. Editor, Australasian Psychiatry, Royal Australian and New Zealand College of Psychiatrists, since 2000. Member, Editorial Advisory Board, Australian and New Zealand Journal of Psychiatry, since 1999. Member, Editorial Board, Case Reports and Clinical Practice Review, since 2001. Member, Editorial Board, Journal of ECT, since 2002. Has written around 300 scientific articles, papers and book chapters including 3 chapters in the Oxford Textbook. Pediatrics Psychopharmacology. Editorial Advisory Board, e-textbook, International Association of Child and Adolescent Psychiatry and Allied Professions. Editor-at-Large, Journal of the American Academy of Child and Adolescent Psychiatry. Recipient, ‘College Citation’, for his “remarkable contribution to the College and the profession of psychiatry through his exceptional and tireless work as Editor of Australasian Psychiatry, and as a leading investigator, educator, administrator and clinician”, Royal Australian and New Zealand College of Psychiatrists, 2009. Medical Unit Head, Helen Mayo House, since 1987; and Director, Perinatal and Infant Mental Health Services, Women’s and Children’s Health Network, South Australia, since 1995. Clinical Senior Lecturer, Department of Psychiatry, University of Adelaide, since 1995. 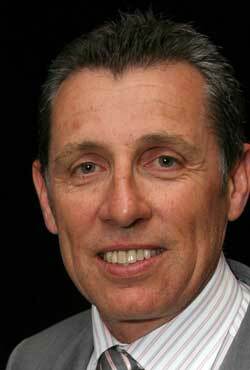 Senior Clinician, General Practitioner teaching, Mental Health Services, SA, since 1991. – Member, Ethics Committee, 2001-2008. – Board Member, Australasian Psychiatry, since 2001. – Chairperson, SA Branch, 1998-2003. – External Examiner, 1987, 1989, 1992, 1994, 1997, 1999, 2002, 2005 and 2011. – Member, Committee for Training, 1993-1995. President Elect, Australasian Branch, Marce Society, since 2011; for the prevention and treatment of mental illness relating to childbirth. Co-Chair, Screening Group, Commonwealth Government Expert Advisory Committee for Antenatal Guidelines, Australian Health Minister’s Advisory Council, since 2008. Member, beyondblue National Perinatal Mental Health Action Plan Implementation Group, since 2007. Chairperson, Training Committee, beyondblue National Action Plan project, 2006-2007. President, NIFTeY (SA), since 2008; National Initiative for the Early Years. Member, Strategic Implementation Committee, Mental Health Strategy, SA Department of Health, 1998-2003. Board Member, ANZ Journal of Family Therapy, 1980-1995. Member, Professional Practices Committee, Marriage Guidance Council, 1986-1990. 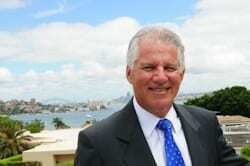 Chairman, Wittners Australia Pty Ltd (Wittner Shoes), since 1966. Board Member, Victoria Division, Australian Retailers Council, 1996-2006. Victoria Committee Member, Family Business Australia, 1998-2007. Active Member, Australian Institute of Company Directors, since 2005. Board Member, International Specialised Skills Institute, since 1997. Board Member, Lord Mayor’s Charitable Fund, 2002-2005. Board Member, Baker Medical Research Institute, 1992-2001. 1970-1972; active Member, since 1964. Deputy Chairman, Host Club Committee for the Rotary International World Convention, Melbourne, 1993. Founding Member, Rotary Club of Melbourne Committee Foundation. Board Member, NRMA Victoria, 1992-2001. David Wittner is on a cruise ship and could not be reached. A member of his family told J-Wire: “We are very proud”. Director-General, ‘Life. Be in it’ International, since 1993; Director, from 1983. Co-Chairman, ‘Life. Be in it’ Australia Ltd, since 2007. Director, ‘Life. Be in it’ Health Promotion Institute, 2011. 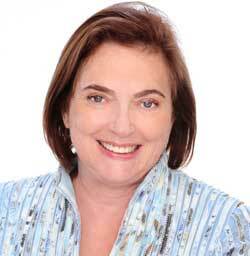 Director, Victoria Branch, Australian Association of Social Workers, since 2011. 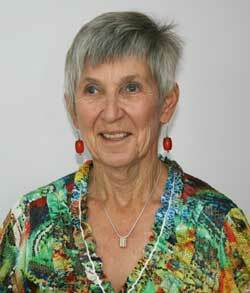 Founder and Chairman, Australian Register of Counsellors and Psychotherapists, 2009-2010. Former Chief Executive Officer, Psychotherapy and Counselling Federation of Australia, 2007-2010. Member, Association of Professional Futurists. Federal President, Australian Social Welfare Union, 1976. Federal President, Australian Association of Social Workers, 1975. Executive Director, Victorian Council of Social Service, 1973-1975. Director of Education and Welfare, City of Sunshine, 1969-1972. Senior Social Worker, Sunbury Mental Hospital, 1966-1969. Deputy Director-General, Department of Employment and Training, Victoria, 1980-1982. Director of Regional Services, Department of Community Welfare Services, 1977-1979. Director of Research and Social Policy, Department of Social Welfare, 1975-1976. Chairman, Marshall Place Associates, since 2004. Chief Executive Officer, The Horizons Network, since 1990. Director, Futures Division, Ogilvy and Mather Worldwide, 1983-1989. National Vice-President, National Council of Jewish Women of Australia (NCJWA), since 2006; current Director; Member, Board of Governors, 2000. President, NSW Division, 1999-2005; Vice-President, 1998; Life Member, since 2010; Member, since 1990. 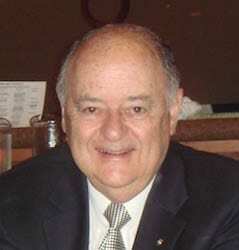 President, Chapter Aviv, B’nai B’rith, 1995 and 2005; Member, since 1984. NCJWA Representative, Jewish National Fund, 2000; Member, Blue and White, 1961-1964. 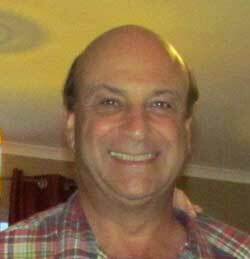 Board Member and NCJWA Delegate, Wolper Jewish Hospital, 1999-2005. NCJWA Delegate, National Council of Women; supporter, Social Justice and Interfaith Program. 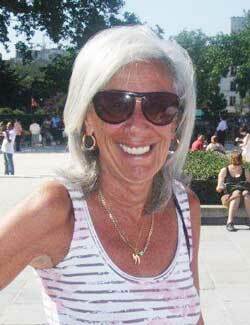 Current Co-Chairman, Marketing and Communication Committee, Campaign Cabinet, Keren Hayesod – United Israel Appeal (UIA). Life President, UIA NSW Board of Governors, since 2007. President, UIA NSW Division, 2002-2007; Chairman, 1998-2002; NSW Campaign Chairman, 1993-1997; Chair, Business and Professional Division, 1993; Chair, Young Leadership Division, 1990-1992; Co-Chair, Trendsetter’s Division, 1980-1987; volunteer, since 1976. 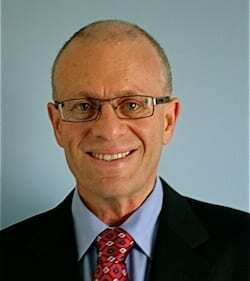 Board Member/State Zionist Council of NSW. Representative, NSW Jewish War Memorial, since 2000. Active Member, Sydney Communal Security Group, since 2005. 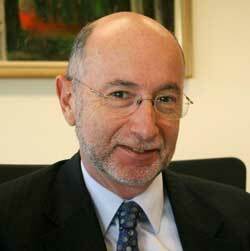 Board Member, Sydney Jewish Museum, 2000-2001; Member, Building Committee, 2000-2006. Board Member, Moriah College, 1984-1993; Chair, Building Committee. Co-Managing Director, Waige Group, since 1979; supporter, Work Ventures, 1984-2009. Supporter, Australian Foundation for Disability, 1984-2009. Founder, Harold R Finger and Co. Architecture Firm, 1978-2007. Associate Member, Australian Institute of Architects, since 1978. Federal President, Women’s International Zionist Organisation Australia, 2004-2010; State President (Victoria), 1989-1997; Member, since 1969; ; Honorary Secretary, 1989-1997. Delegate, Executive Council of Australian Jewry, since 2004. Delegate, Zionist Federation of Australia, since 2004. Vice-President, Zionist Council of Victoria, 1989-1997. Vice-President, Women’s Division, United Israel Appeal, 1989-1997. 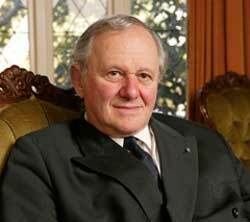 Founder and President, the Holocaust Institute of Western Australia, since 1990. Vice-Patron, Art Gallery of Western Australia. Founder, Haberman and Kulawicz Fund and Jewish Communal Appeal, 2003. Volunteer, ‘Courage to Care program’, B’nai B’rith, 1999-2011. Life Governor, supporter and Member, Sir Moses Montefiore Jewish Home, until 2011. Patron (sponsor), Montefiore Home’s Holocaust Awareness Program, 2006-2007. Financial supporter, ‘March of the Living’, 2003-2011. Holocaust survival spokesperson, Berlin Memorial to the Murdered Jews of Europe opening, 2005. Volunteer and supporter, Together for Humanity Foundation. Co-Author, Destined to Live, 2008. 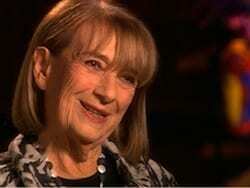 Mrs Van Der Linden-Wolanski died on 23 June 2011. Over his 30 years’ distinguished service in the Victorian Public Service Mr Blacher has delivered significant improvements in the structure and services of local government, greater State Government support for the community sector, and greater integration in planning for land use and transport. He has also been instrumental in improving responsiveness to industry and the community on the planning system while pioneering new ways of thinking about how government works, some of which have evolved into national benchmarks. Mr Blacher was also notable for playing a critical leadership role in the successful delivery of the Melbourne 2006 Commonwealth Games.